When you’re born to a notable suffragette mother and an activist father, there’s a good chance you’re going to grow up with something of an independent streak, despite being an early twentieth century gal. When they tell you that learning to drive will be of a benefit to you, chances are, you’ll learn. Such was the case with the prodigious Margaret Allan. In fact, it was with the family Lagonda that the Scottish Allan made her racing debut. In 1930, she was entering trials hosted by the Women’s Automobile and Sports Association. After gaining the Ladies’ Prize in the London-Gloucester rally that year, she knew that she could find success in this field. Motor Sport described her driving style as “neat and fast”, and she was subject to her fair share of praise. Allan never stopped entering trials and local rally events—it was a great way to hone her skills. She was known for taking home class wins and ladies’ cups just about every time she entered a race. It was enough to get her noticed. She signed with the works Riley team driving a Nine, her first international event being the 1932 Monte Carlo Rally. She, with Eve Staniland as co-driver, finished a stunning tenth place (and second in the female class). If she’d been at all hesitant about her decision to race, that must have been a powerful moment of confirmation: the Monte Carlo rally is not kind. More experienced drivers have failed to conquer its twists and turns. Later that year, she teamed up with her brother Hamish to try to conquer the Alpine Trial. The event lasted for an entire week and was considered one of the most demanding and dangerous trials in Europe. Behind the wheel of a Wolseley Hornet, Margaret and Hamish were awarded a Glacier Cup prize for having completed the trial without a single penalty—an impressive feat given how damn difficult the thing was. 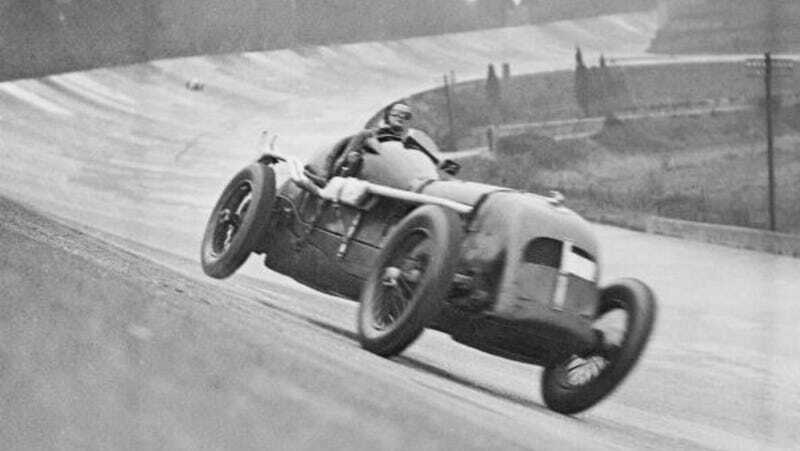 In 1932, she also made her break in circuit racing. She talked her father into upgrading the family Lagonda to a supercharged one, teaming up with two other women to take second place overall at Brooklands. Her first outright victory had to wait until the following year, when she finished third overall but first in the Junior Long Handicap event with a fastest lap of 97.65 mph. MG had their eyes on her. They knew she could be successful in the right equipment, so they signed her to the team for the Light Car Club’s 1934 200 mile Relay Race at Brooklands. Once again joining two other women, she battled a raging thunderstorm to take third place overall. So impressed were MG that they asked Margaret to compete in the 1935 24 Hours of Le Mans as part of a three-car all-female team. She was to drive a Bentley 4.5 Litre nicknamed “Old Mother Gun”, a car that had won Le Mans in 1928. Sure, by the time it actually got to her, it had been re-fitted with a single-seater body and was still working with older machinery—but she found plenty of success with it. She won handicap races and lapped faster than some of the established male drivers against whom she was competing. The following year, 1936, was a definitive one. She upgraded Old Mother Gun with a 6.5 liter engine and subsequently reaped the benefits of the increased performance. At the opening meeting at Brooklands, she took second. Mere weeks later, she won the Second Whitsun Long Handicap—and, after lapping at a fastest speed of 122.37 mph, she became one of just a handful of women to join the 120 mph club at Brooklands. Her final race that year, the Shelsley Walsh hillclimb, saw her win the Ladies’ Prize. It was to be her last win for over fifteen years. See, in 1937, Allan decided to settle down. She married Christopher Jennings and, pregnant with their first and only child, decided it was high time to retire—minus stints as an ambulance driver and an intelligence decoder in WWII and one final race at the Circuit of Ireland rally in 1950 (where, yes, she won the Ladies’ Prize). After the war, Allan might have relaxed, but she wasn’t done with setting records and driving cars. She found a niche as a motoring correspondent for Vogue magazine throughout the 40s and 50s, and she was known to test out road cars for The Motor and Autocar. She became quite a fan of gardening as well, bringing into it her competitive nature. She took home boatloads of Royal Horticultural Society prizes and had her own exhibit at the Chelsea Flower Show. A rather mundane life to be sure, but one still rife with the excitement of honing skills and competing. Margaret Allan died on September 21, 1998. By that point, her name was largely forgotten by the motor racing world, added to the category of women who were able to launch a few successful years of a career only to seek retirement at a fairly early age—nevertheless leaving behind a legacy that should be remembered.